Inicio CUADERNOS, BLOCKS Y LIBRETAS CUADERNOS PROFESIONALES CUADERNO PROFESIONAL SCRIBE SERIE III 9652 100 HOJAS CUADRO 5 MM. 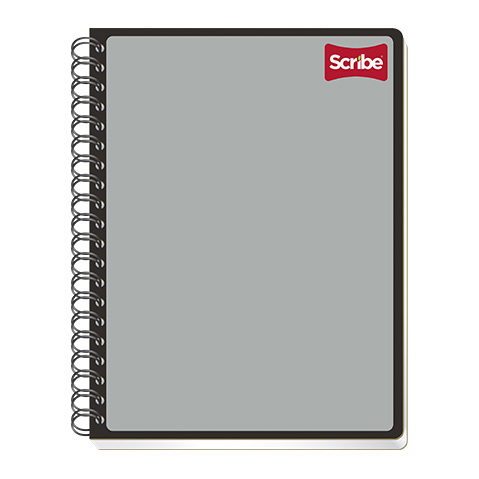 CUADERNO PROFESIONAL SCRIBE SERIE III 9652 100 HOJAS CUADRO 5 MM. CUADERNO CON ESPIRAL FORMA FRANCESA ESTRELLA 184 100 HOJAS CUADRO 7 MM. CUADERNO CON ESPIRAL FORMA ITALIANATAL SCRIBE CLASICO 1503 100 HOJAS CUADRO 7 MM. CUADERNO ENGRAP FORMA ITALIANATAL SCRIBE CLASICO 6133 100 HOJAS CUADRO 7 MM.